I’m often asked by church planters how CCCC develops elders. It’s a a great question. However, there’s a question which should precede it, namely, when should you add elders? It’s not a question of “if” but at what time is it most beneficial to do so? We see the Apostle Paul had some kind of process by which, after establishing church plants, elders were appointed within specific congregations. For example, his strategy for the island of Crete was to select Titus to “put what remained into order, and appoint elders in every town as [Paul] directed [him].” (Titus 1:5) This shows that there was some stage in the church’s life where a body of elders wasn’t best for these young plants. While we don’t know exactly how much time elapsed, we do know selecting elders intentionally came later. This also helps us see that if, in planting a church, you have the establishment of elders as one of the first things on the list, you may want to reconsider that plan. 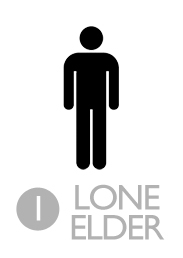 I can tell you from the personal accounts of many of my church planter friends how prematurely establishing elders not only handicapped their church, but for some, ended it. Could this be at least one reason why Paul counsels Timothy to not be too hasty in laying his hands on a set of elders (cf., 1 Tim. 5:22)? Let me suggest one way church planters can implement a progression of church leadership which doesn’t begin with an elder team, but ends with them. This first phase is essential in both promoting and protecting “the DNA” that makes your church unique. You hold the vision, values, and strategy for your plant. You carry the fire for what you believe that specific local church will become. It’s the very reason you planted in the first place. This means that for a season, everything runs through you. It’s exhausting, crazy, and demanding, but it’s critical to establishing who you believe God has uniquely called the church to be. This doesn’t mean you don’t have any accountability. You must! This is the stage where you have an advisory board of godly men outside your congregation (often these are other pastors and church leaders) who regularly check in with how you are and what you’re doing. This is also the time you’re looking for men in your fledgling congregation that have the potential to become elders. In this phase, you spend an insane amount of time developing relationships with these kinds of men in order to see in them if they might make good elders. This phase is when you have selected, trained, and deployed an elder team. These are men who bleed the DNA of the church plant. They know and have your back as the lead elder. In other words, you still are at the front of decision-making for the church in matters of doctrine, discipline, and direction. This is to give your elder team time to see how their lead pastor operates, what makes him tick, and observe his strengths and weaknesses. As the lead elder, you call the plays and your elder team helps execute them. This doesn’t mean the team can’t disagree or debate with you. They can (and likely will). It’s just very clear at this stage that the senior pastor is very clearly the “first among equals” whereby the team is following his lead. During this stage you’re developing the leadership quotient of your fellow elders – giving responsibilities, evaluating execution, coaching them up on what it is to lead a church. I believe this phase often takes years because you aren’t just trying to grow as a team but as a brotherhood – and brotherhood is something that is forged over time. It solidifies over tasks, tests, and tragedies. When you feel like you’ve gotten a team of brothers who are leaders in their own right, it’s time to move to the last phase. These are men who each could lead the church without missing a beat if somehow you were taken off the planet. Indeed, this is the kind of team composed of individuals who could each lead their own congregation. But they stay – they’re there for the long haul – in order to make a real difference for the gospel in the community God has planted them. At this phase, there is a blurring of lines concerning role and responsibilities between lead pastor and his team. There may be an elder responsible for pastoral care, another for the preaching ministry, still another for the oversight of ministries, with none of them being the founding pastor. Now, you should be able to more acutely focus your time on your passion points and ministry strengths. At this stage, you play the role of an all-star point guard who knows which member of the elder team is best equipped for being the chief leader for ministries that, up to this point, you were responsible for. But your role is passing the ball. A lot. This stage demands you die to yourself and strangle that ego. Unfortunately, there are very big churches that never get to this stage. And they pay the price! High staff turnover at the executive level, loss of strategic momentum, and hurtful interpersonal dynamics to name a few. Stage Three is a place we rarely would ever start with our church plant, but it’s a must that we finish there. What stage are you in? What are you doing or need to do in order to develop your elders? Ask your team how you can help facilitate the movement from one stage to another. Do it for your sake, your team’s sake, and for the sake of the glory of God.